A New Year loometh nigh, and time, or the passing there of, continues to mess with my sense of reality. The year 2016 sounds much more of a science fiction, than fact. I at times feel like a time traveler. A maladjusted visitor from 1975 whom wishes he got to call the 1930s his home. I digress. Sample courtesy of Mr. Brandon K. Wilson. 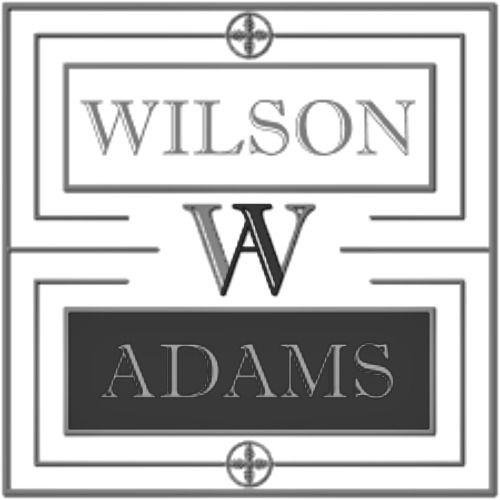 The bands of these Wilson Adams offerings are classic linear things of a minimalistic bent. Reminds me for no good reason of the H. Upmann Banker's dressing. Very tasteful. Whether or not this downtown city slicker conservative design is at home on this particular stick, is another matter entirely. There is a heavy artery of very ridged and rigid veins, three to be exact, which together run the entire 3/3 of this White Label offering. Seams range from visible to nearly open. Not as many spider web veins shoot off the biggies, but there are some, and not in short supply. Cap seems well affixed. Working down the shaft, we're looking at a coffee colored offering with a sploosh of caramel underneath. Marbling up to espresso bean over-top. Not much sheen, but lively nonetheless. Foot tobacco peeks out at a milk chocolate complexion with a faint pinkish-orange hue and a few ticks up to dirty blonde highlights. Packing is a loose end of medium on a Charmin squeezing, and is even at that throughout. Hand-feel is a bit of leather and feels more oily than it eye-balls. Nicely balanced, although I'm not a fan of anything 50+ RG, in general. I can see the vague outline of what appears to be a stick, through the stick's wrapper. Beyond rustic, we be. I show it to my wife, she shrugs. Lifting it to my schnoz, this new pirate chest styled humi I received from Santawitz leaves a heady bouquet of cedar behind. I'll have to practice on hitting that curve. Other than that, there's a nice barnyard element with chocolate trace on the shaft -- a more inherent cedar is at the foot with a very sweet tobacco, sporting a definite butterscotch vibe. I nibble off the cap and am greeted with a "wow" amount of that butterscotch on a -medium resistance draw. The note goes right to a mouth-feel and finish. Heavy flavors on a cold draw, nice. That barnyard element is there, as well, as is a good cocoa zetz. Underneath of all that is a creamy green note backing. Toasting the foot lets loose a sorta leathery note of wheat malt. On the first hot draw, wheat turns to a more airy and alive heavy vegetal thing. Wheat grass, not wheat germ. There are kitchen spices and chocolate, too. Also an earthiness and barnyard which vie to back it all. Mouth-feel is gaining in sweet cream and braced by a leathery vibe. Oy gevalt. Second hot draw is a lot calmer and too kitchen spicier. That and chocolate are primary notes, all else is as above insofar as other mentioned tastings are secondary, and the backing is still a coin-flip. Mouth-feel as mention is unchanged and becoming the finish, and it's a leggy one. Medium+ in length. Breaking with tradition, I retro-hale the third, not second hot pull, and get greeted with a blast of rising vegetal which subdues quickishly and leaves a vast sweetness in its wake of creamy butterscotch goodness. We've been all over the board here, and I'm almost about to plotz. Ash is a loose ladder-runging on of pale grey to near charcoal ash. Flaky. Cue me getting my schmatta out of my back pocket and laying it across my knee. Burn is a wobble and we'll see. Burn-line is thinning to a thin+ right before me very eyes. I'm a svelte 175lbs and still, I would not trust this ladder. Rungs are missing and there's a lilting... Flavors have not yet settled, in fact, more are added in the form of a nutty vibe, cedar, and dry fruit. Backing has found the center between barnyard and earth-- a pleasant topsoil. Flavors begin to partner here. Cedar, vegetal, and fruits go toward the leathery cream. Nuttiness and butterscotch find the cocoa. Primarily, notes are of all the sweet stuffs? Oy gevalt. Did I say that already? Ash clumps off at an inch of powder, landing on my non-schmatta'd knee. Why must I suffer??? Let's speak of vibe, shall wee? I'm in a nice coffee house, sitting in a leather chair and drinking a butterscotch latte. Wait. It's really more of a caramel latte. The place has hardwood floors. I'm by a window and on the other side is a garden of red and purple flowers. A lush shade tree protects their growth. Mugs are on display off to the side in a cedar curio which was a farm house's spice cabinet in a former life. Burn corrects but not fully. Smoke out-put off both ends is voluminous creamy white. Ash stays ugly, lilting and flaking off a thin burn-line. Retro-hale stays slathered in vegetal and now too shows a healthy dose of cinnamon. Pack holds well with a tick of softness a 1/4" off the char. I can't believe the beefy veins haven't influenced the burn more. Ash has just now picked up a brown note. Strength is medium. Body and flavors medium+. Looks like an early transition, as kitchen spices take to the forefront on the back of cinnamon. Espresso is poured liberally. Chocolate covered almonds rise up. And a whole new backing of toasted whole wheat bread is pulled from the wood oven. There are notes of a crisping seasoned cedar and separate hardwoods mingling freely. Mouth-feel is a creaminess offset nicely by the seasoned cedar. Perfect moisture level. Leather fades. As do the fruits, except for on the far end of the long finish. Onset of finish is milk chocolate and kitchen spices with some remaining vegetal. Nice and clean. Butterscotch-turned-caramel now ebbs and flows -- mainly ebbs. Ladder rungs grow closer and a more oily ash than before, flakes a lot less. The cedar seasons all the way to sharp and occasionally catches my throat. Cinnamon warms my chest. Draw loosens another tick and is fairly wide open, still, no problem with over-smoking. We real cool. We Left school. We Lurk late. We Strike straight. We ... Apologies to Gwendolyn Brooks. What I'm saying is, this smoker is a cool one. Black licorice. NOW. 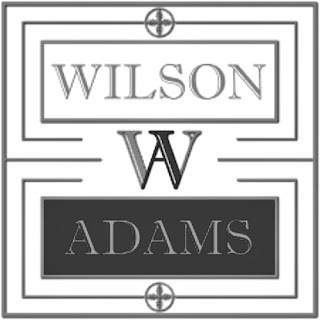 My palate shall be requiring of a rest, post-this Wilson Adams offering. Marvelously dizzying array of wow. It tastes like abstract art on hallucinogenics. Profile is medium+. Strength is a different sort than the typical offering -- it here is a tool of focus. Sweet and lighter floral notes buzz around. They are butterflies in that coffee house garden. Orange blossom honey rises from underneath and soars a bit. A seam opens a tad ahead of the burn-line. A vein did play a role and I have been vindicated in my nit-picking, gentlepersons. Pack softens maybe two and a half ticks of meaningless measurements. Burn slows and smoke pours even more so than before. Notes all sour a bit, although it's more that they aren't as sweet. The main sweetness is now stemming from an inherent tobacco note which brings with it a re-emerging leather and a nut tray sans chocolate covering. Caramel is back, but hardened. Kitchen spices and cinnamon fall away and back, respectively. A warm and coarse ground white pepper appear. Creaminess thins to a frothed milk. Espresso is a syrupy and lush pull of silkiness. This smooth is balanced nicely by a charring vegetal. As the band approaches, construction mends, ceases softening -- and crisp almost brusk spices lift up to show me the door. I've been throttled upside my palate. I loved it. I shall rest with a plate of milk toast for supper. Also, I'm rather emotionally mixed. We're seeing the influence of a Tyson Fury reign as overtly as we have seen a Triple Crown win via American Pharoah. That is to say: we are not. I shall touch on my mixed feelings in my next Sabbath Smoker (1/2/16) which I will hopefully remember to link back to HERE.